Kleiner Nachtrag zum russischen Sport und den Reaktionen auf das Vancouver-Desaster: Einer meiner Lieblings-Websites verdanke ich einmal mehr unterhaltsame Lektüre. Also ich finde diesen Vortrag des russischen Präsidenten Dmitri Medwedew vom vergangenen Freitag vor Russlands Sportführung in Sotschi höchst interessant und aus vielerlei Gründen einen Lesebefehl wert. Nachdem er den Sportbossen die Leviten gelesen hatte, fuhr er mit Putin Ski. In diesem Text suche ich allerdings jene Passagen vergeblich, aus denen etwa die Moscow Times ihren Beitrag strickt. 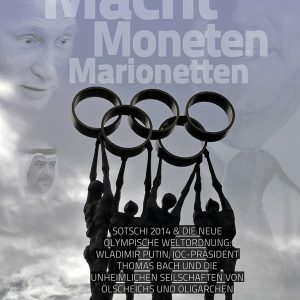 Demnach hat Medwedew der Korruption im russischen Sport und unter den Sportfunktionären den Kampf angesagt und Maßnahmen angedroht. Das wird noch interessant. 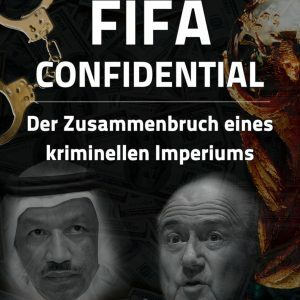 Kleinigkeit am Rande, falls es untergegangen sein sollte: Gemäß Sportminister und FIFA-Exekutivmitglied Witali Mutko sind zwischen 2006 und 2009 insgesamt 343 russische Athleten des Dopings überführt worden. Alles Einzelfälle. Nachtrag am 1. April (kein Witz) mit Dank an Nosch: Im Video wird ab ca. 9:00 über Doping gesprochen, da sagt Mutko tatsächlich, soviel Russisch verstehe ich schon noch: 343 Athleten! Mutko, kürzlich erst als Präsident des russischen Fußballverbandes von Medwedew rasiert, steht scheinbar vor seinem Rücktritt. Heute musste er sich im Parlament verteidigen. PRESIDENT OF RUSSIA DMITRY MEDVEDEV: Colleagues, A month has gone by since the Vancouver Olympics came to a close. This is enough time for us to have analysed our national team’s performance, drawn our conclusions, and responded with practical measures that will ensure our team’s success at the 2014 Olympics in Sochi. As far as the conclusions go, eleventh place in the overall team ranking is obviously a bad result which has its roots in causes that reach back quite a way now. Indeed, our teams have shown worsening results in terms of the numbers of medals won over the years from 2006 to 2010. Even in winter sports in which our athletes have traditionally been victorious we all see that over these last years we have been steadily lagging behind our main competitors. Yet at the same time, we have been investing just as much in training our athletes as have other countries. Indeed, to be absolutely frank, in a number of cases we have even invested more than other countries. The problem today is not so much in a lack of [financial] resources as in their ineffective use, and that is the first point I want to make. I will not name the figures as you all know them well, but however we look at it, we have invested tenfold more than in earlier years. The second point is that this situation has shown up the shortcomings in our entire athletes training system. As it has been said before, this system must be centred above all on the athletes themselves. In all of the world’s sports powers training programmes and methods take into account each future Olympic competitor’s specific individual particularities, so as to ensure they take their places at the starting line in top shape. The level of medical, biological and scientific support for the teams plays a crucial part in this respect but we only began using this comprehensive approach in our team’s training last year, and we may as well not hide the fact that it is not yet implemented in full. The task therefore is to dramatically change this situation drawing on the most advanced international experience in this area. I think we need to set annual performance targets for the different sports, and motivate our athletes and sports specialists to achieve the highest results. We could also look at increasing the size of presidential grants for members of our Olympic and Paralympic teams. Third, the current system used to build up the pool of athletes we can draw on also has a negative impact. We know that the winter Olympics cover 14 different sports, but more than 90 percent of our country’s athletes are training in just five of these sports. This means that we will soon have trouble finding people to compete for our national team in the other nine sports. This imbalance in the training system is partly linked to the lack of top quality training facilities in our country, as we all know, and to disproportioned availability of technology and equipment to different sports here. We still do not have training facilities measuring up to world standards for a substantial number of winter Olympic sports. Our athletes train mostly abroad, and in limited numbers. Everyone here knows what difficulties this creates, and what the main problems are that we face here. We do not have modern training facilities for ski-jumping, Nordic combined, freestyle, snowboard, curling, alpine skiing, bobsled, luge and short track. We do not have enough specialised rinks for figure skating. True, construction is underway on national and regional centres for training athletes in winter sports, but these projects will only be completed by 2011 or 2012. Meanwhile, providing teams with proper training conditions should be one of the top priorities for the sports federations. We also need to take measures to develop the manufacturing of top-level sports equipment here in Russia. Russian athletes in Vancouver had problems even with sports equipment. Sports in which performance is directly linked to the quality of technology and equipment require particular attention. This goes for bobsled, luge, and biathlon. It is unacceptable to end up in a situation where we depend completely on foreign manufacturers. We have the full ability to manufacture this equipment ourselves and it is entirely within our powers. I say once again that I expect to hear explicit reports and proposals from all of the officials present today on the different reasons I have just mentioned for our poor performance in Vancouver. I note once more, too, that these reasons did not only just now emerge. They have been around for a long time now, and so there is no way that those responsible for our national Olympic team could have failed to notice them. Some decisions on resignation of officials have already taken place. 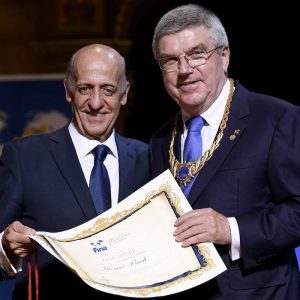 The president of the National Olympic Committee has stepped down, and so have a number of officials from the Ministry of Sport. The heads of the cross country skiing, alpine skiing, freestyle, snowboard, ski jumping and Nordic combined federations have announced their intention to step down. A number of other officials of sports federations have also found the courage to take this difficult but responsible decision. Thus, of the 12 national federations in Olympic sports seven will get new heads. We also need to look at the wisdom of having all of these federations exist as separate bodies. I am not imposing any decisions, but respective ideas should be reviewed. I want to say to the current and future presidents of our sports federations that this is a job where you need to work hard. Not sit on your backside all day or go on jaunts abroad, but slog away 24 hours a day. We need professionals, qualified people who know what our athletes need and know how to organise the training process, where to find the money and so on. 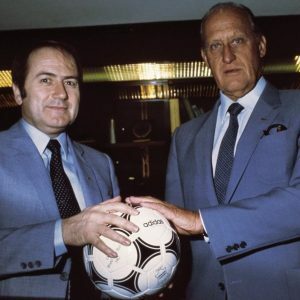 All the bosses can move onto supervisory boards and help whichever sport they favour from there. This is the way things will go from now on. There are still many problems in our system for managing top-level sport. First of all, it is not always clear exactly who is responsible for national teams’ training. You know how fuzzy this responsibility is in our country. It is dispersed between the [National] Olympic Committee, the sports federations, the Ministry of Sport, and the regional authorities too. As always, whenever you have four or five different bodies responsible, no one ends up answering for the situation. We all know the saying about the child looked after by seven nannies. We all know where this leads. I think that above all the federation heads and the teams’ trainers should be responsible for the teams’ performance. Improving the legal framework for developing sport is another area on which we need to focus. We need to delimit clearly the powers of the authorities at each level in training and building up the pool of athletes, and establish a mechanism for providing federal budget support to regional and municipal sports schools, which must soon become growth centres in the priority Olympic sports. Finally, we also need to increase Russia’s presence in the international sports organisations. 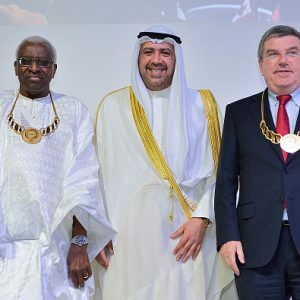 Our current possibilities do not enable us in full measure to promote and protect our athletes’ interests as we have had occasions to see, and, also very important, to take full part in drafting international rules and sports regulations. Overall, Russia has a considerable number of representatives in these organisations, but their level, and more importantly, their activeness leave a lot to be desired. We have 180 representatives, so we are not short of choice and have plenty on our plates. On a definitely much more positive note, the X Paralympic Games ended on March 21. This kind of competition is getting more attention worldwide with every passing year and is becoming tougher all the time. Russia’s team in Vancouver was in first place for the total number of medals won, and in second place for the number of gold medals, falling just one ‘gold’ short of the leaders. Our Paralympic athletes, who showed immense willpower and determination to win, deserve full credit for this excellent performance. Good on them, to put it simply. I want to inform you that I signed an executive order today awarding our Paralympic athletes state decorations, and I plan to meet with them and congratulate them very soon. We need to discuss their situation too and look at what we can do to improve things and support Russian Paralympic athletes so as to give them the best chances in Sochi in 2014. Colleagues, the working group believes that in order to prepare in detail and oversee implementation of all of these measures in regular and ongoing fashion we need a common centre to monitor and analyse the work undertaken to train our athletes, and if need be propose swift measures in addition to the plans set out. Let’s look at this matter too. At the 2014 Winter Olympics Russia must show the world that it can host a competition of the highest standard. I said this earlier at the ceremony raising the Olympic and Paralympic flags here in Sochi. This is our chance to show the world that we are a capable, hospitable and technologically advanced country. It is also our chance to show the world that we can stand tall and that we know how to win. Let’s now turn to the reports. I give the floor to the Minister of Sport, Tourism and Youth Policy. A total of 343 Russian athletes, including 31 in international competitions, were caught doping from 2006 to 2009, Sports, Tourism and Youth Policy Minister Vitaly Mutko said. Zwischen 2006 und 2009 seien 31 Athleten positiv getestet worden. Ralf, das meinste nicht ernst, oder? Unglaublich. 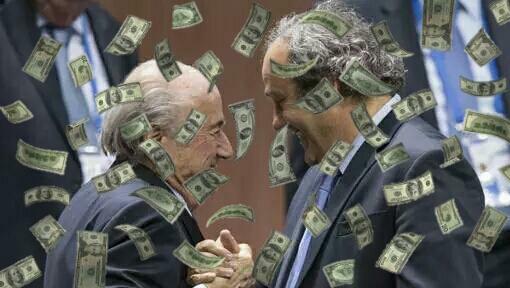 Feiner Fund. Dies hier scheint der Rusada-Jahresbericht für 2009 zu sein. Mit Hilfe des Google-Übersetzers, der ein Problem mit positiv und negativ zu haben scheint, lassen sich 89 (+5?) positive Fälle sowie 178 (+1?) „atypische“ Resultate für das Jahr 2009 herauslesen. Die Sportarten mit den meisten positiven Fällen scheinen Gewichtheben (17), Leichtathletik (11), Ringen (10), „Powerlifting“ (8) und Radsport (7) zu sein. Die Wintersportdisziplinen weisen nur wenige positive Fälle auf. Hier auch nochmal die Liste der im Jahr 2009 gesperrten Sportler, die nosch entdeckt hatte. Hat jemand eine Idee, wie man diese Seite automatisch übersetzen lassen könnte? 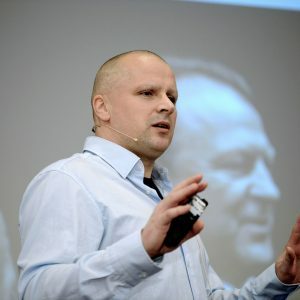 Das Übersetzen russischer Namen ist „automatisch“ nicht zu machen, Ralf. Wie man sieht, beginnen die beiden Namen mit den selben Buchstaben. Irgendein Passbeamter aber, der in den russischen Reisepass einen Namen mit lateinischen Buchstaben eintragen muss und sich dabei am Englischen orientiert (daher rühren diese ganzen Absurditäten), schreibt für den ersten Namen „Tchoudov“ und für den zweiten, du lieber Himmel, „Churine“. Das angefügte e am Ende ist dabei der Gipfel der Stillosigkeit. Natürlich ist dabei zu beachten, dass kaum eine Sprache so ungeeignet ist wie die englische, Laute exakt als Buchstaben wieder zu geben. Die deutsche Sprache bekommt das in diesem Fall mit vier Buchstaben leidlich exakt hin: „Tsch“. Die Russen brauchen nur einen, das „Ч“ – man sollte also nicht den Fehler machen, ihr Alphabet als altertümlich abzutun. Es kann einfach mehr. Und dann möge man sich noch einen bayerischen Sportreporter vorstellen, den wir der Einfachheit halber mal Herrn Heinrich nennen, der den Namen „Churine“ verlesen soll. 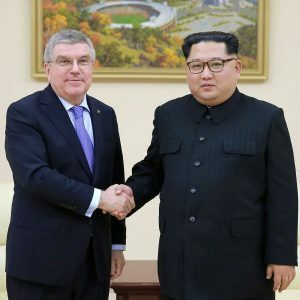 Was will man da erwarten, wenn er doch auch sicher ist, dass die Olympischen Spiele 2008 in Kina stattfanden? Also muss der arme Herr Tschurin, der zu Hause in Russland gerade mal 5 Buchstaben für seinen extrem kurzen und gezischt gesprochenen Namen braucht, als Herr Kurine über den deutschen Bildschirm laufen. Danke für die Nachhilfe in Sachen russischer Sprache! Sehr interessant! Nachtrag: Boschenko ein Jahr Sperre, alle anderen zwei. U.a. mit Zahlen zu Anzahl der Proben im Wettkampf und außerhalb von Wettkämpfen pro Sportart, Altersklassen usw. Dankeschön! Nochmal zur Kontrolle. Korrekt so? @ Arnesen #5: Vielen Dank. Sehr unterhaltsam. Und wie wahr. Du siehst, Ralf (#10) hat schnell gelernt :) Ich lobe mir das gute alte „w“ und auch das „sch“ in der Transkription russischer Namen. Wie schwierig das sein kann, zeigt übrigens auch das Beispiel eines Handballers, den ich bis heute Juri Schewzow nenne. Ich bin so frei, selbst wenn er sich seit einiger Zeit schon Iouri Chevtsov schreibt. Die Russen nennen mich im Visum, das ich gerade bekam, übrigens Йeнc Beйнpиx. Ist auch nicht so ganz korrekt, aber damit kann ich gut leben. Wenn Ihr Euch nun schon ausführlich mit den Rusada-Unterlagen befasst habt: Gibt es dort Hinweise darauf, dass diese 343 Fälle, von denen Mutko sprach, stimmen? Wie viele Fälle werden dort aufgeführt? Erstaunlicher Weise ist diese Zahl bis gestern nicht in deutschen Medien gehandelt worden, es sei denn, ich habe mich verguckt. Quelle ist Mutko beim Treffen mit Medwedew gemäß Itar-Tass und Ria-Novosti, wenn ich richtig gesehen habe. Im englischen Sprachraum wurde die Zahl aufgegriffen und mitunter kommentiert. Ich denke deshalb nicht, dass es sich um ein Missverständnis handelt. Geirrt hat sich demnach, wie Ralf bereits bemerkte, nur die dpa mit den angeblich 31 Fällen, die gemäß Mutko nur die international Erwischten sind. Video von Mutko, in dem er von den 343 Fällen spricht: http://www.1tv.ru/news/sport/163599 (der entscheidende Part beginnt bei ca 8:50). Anlass war die Sitzung des Rates für die Entwicklung der Körperkultur und des Sports beim russischen Präsidenten am 26. März in Sotschi. Vielen Dank, nosch. Habe das Video in den Beitrag eingebunden. In der Tat sagt er: 343! Es sind Feiertage. Ich seh´ es locker. Frohe Ostern. Ich wünsche Ihnen und Ihrer Familie Freude und Entspannung. Wir spazieren am Lehnitzsee. Vllt. sieht man sich. Ansonsten bin ich überrascht wie der rumänische Fussballstar Mutu durchgewunken wurde. Da sage einer, die Verbände sind auf gleicher Augenhöhe im Antidopingkampf. Die „Königin des Turnens“ Swetlana Chorkina (ca. bei 3:00) , heute Vizepräsidentin des Russischen Turnverbandes, muss sich unter der anwesenden Herrenriege des russischen Sports ja sehr einsam vorkommen. Da hat sich leider nichts geändert. Trebor, ich setze den Link mal um unter den DOSB-Beitrag. Herbert: Ich bin schlecht in Heimatkunde, aber ich lob mir Google Maps. Der Lehnitzsee ist ein bisschen weit weg, aber so in acht bis zehn entspannten Wanderstunden sollten Sie es zu mir schaffen. Zu der Problematik der Schreibweise russischer Namen im Englischen. Wenn bei der Transskription „Churin“ geschrieben würde, weil es so in Kyrilliza steht, dann würde der Name falsch ausgesprochen. „Churine“ kommt in der englischen Aussprache wohl der russischen Aussprache näher. Mutko sagt: 343 Dopingfälle, PLUS 31 auf internationaler Ebene. Interessanter ist aber das, was Medwedew hinterher sagt. Soweit ich das verstanden habe, sieht er das ganze nicht so sehr als moralisches Problem, sondern als IMAGE-Problem. Darüberhinaus versteht er Doping durchaus als Resultat eines globalisierten Wettkampfes. Und dann spricht er eine Mahnung aus, die jeder für sich selbst interpretieren möge: Ich schlage keinen 2.Skandal vor und der Angelegenheit nimmt er sich an. Danke im übrigen für ihre herrliche Website. Da kann ich mir sehr viel Informationsarmes und Moralinverseuchtes aus der freien Presse sparen. Leider kann ich Sie noch nicht finanziell unterstützen, da ich noch Student bin. Die Besetzung mit Alexander Schukow steht schon lange fest. Im April in Sotschi hat das Kosak auch bestätigt. Leider passt Schukows Besetzung nicht so gut in meine These, dass Medwedew doch ein bisschen was anders macht. Schade eigentlich. Einerseits hat er etliche Minister als Sportverbandschefs abgesäbelt, andererseits lässt er einen Vizepremier nun NOK-Boss sein. Wiederum macht das für die Russen aus vielerlei Gründen Sinn. 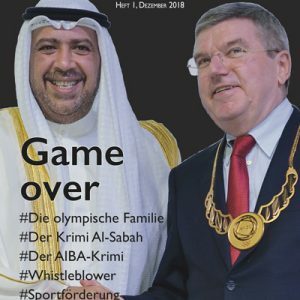 Ein Vizepremier ist nun Olympiaminister, ein anderer NOK-Chef. So lässt sich besser regieren. Die FIS mit einigen Ermahnungen, einigen Strafen, einigen Forderungen und einigen Drohungen gegenüber Russland. Alles recht dehnbar, aber dennoch kann ich mich nicht erinnern, dass eine einzelne Nation mal so „vor’s Maul“ bekommen hat. Hatte mich darüber im April in Krasnaja Poljana mit Gian-Franco Kasper unterhalten. Er klang schon ziemlich resolut. Jetzt, wo Du es schreibst, faellt mir auf, dass ich das Gespraech mit Kasper nie veröffentlicht habe, nicht mal hier. Mist. Es gibt so viel zu tun, das wäre ein Volltime-Job fuer drei. Stand hier nicht FIS Athleten? Aber leider hat der Laborleiter die B-Proben vernichtet, obwohl er vom Verdacht wußte. Walter, kein Witz: Wir machen das künftig mal wieder so, wie einst bei der WADA, als Herbert seine schriftlichen Fragen an David Howman stellte. Wenn ich einen Termin habe und etwas Zeit, dann sammeln wir gemeinsam Fragen. Versprochen. Ja, fein. Aber diesmal werden knallharte schonungslose Fragen gestellt. Die Antworten werden ja exklusiv sein und die Printmedienwelt aufhorchen lassen. „Blogger erzielt gemeinsam mit einfältigen Fans Durchbruch bei der ultimativen Wahrheitsfindung“, „Pechstein war nicht gedopt“ oder „Ullrich hätte eigentlich längst wieder fahren können“ oder so ähnlich, sehe ich da schon die Headlines vor meinem geistigen Auge. xc-ski.de: Infusionsausrüstung bei Pankratov gefunden: Neues Dopingvergehen im russischen Team?